Azure Government’s Cognitive Services: What’s Available in the Vision Feature? Not long ago, Microsoft added a popular feature to Azure Government that was only available in the standard edition. Azure’s Cognitive Services became a popular feature thanks to its comprehensive ability to integrate machine learning API’s into various processes. It took a while for this to become available in Azure’s Government edition, but now it’s here for your benefit. If you’re new to this, learning about all the API categories can become overwhelming. It’s better to take one at a time and learn about what you really need in your government agency. One category with exciting possibilities is the Vision feature. The API’s in Vision let you personalize apps thanks to insights on faces, images, and emotions. Take a look at what you can do, especially if working in governmental security. Through face detection, you can find a lot of useful data to apply to numerous government projects. For security purposes, it’s one of the best technologies available while integrating into one software. One highlight is face verification to determine whether two faces in separate photos belong to the same person. In security photos, this is going to become invaluable, especially if you’re working for the FBI or other security agency. When you need to find a particular face, this feature lets you do a similar face search. Those of you trying to find wanted criminals can query a face to see where else it turns up in other photos. The accuracy level of the queries is truly remarkable, all thanks to machine learning capabilities. The Vision feature even lets you create face grouping for more detailed facial recognition. 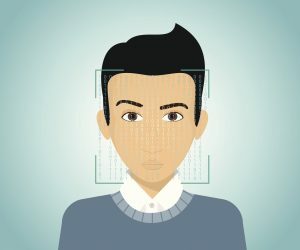 Through face data, you can quickly identify who a person is from a particular image. If you’re designing a governmental app, you may want to detect emotions from your users for more targeted marketing. Vision has an emotion detection tool that’s stunningly accurate based on an AI program placed into the software. Now you’ll be able to decipher a user’s mood and recognize their unique feelings. We all know that human expressions are sometimes complex and perhaps outwardly express things contradictory to what someone’s actually feeling. The AI program digs deeper and scopes out complex emotions based on international expressions, including on a cross-cultural basis. This means you’ll go beyond just the basics like happiness and sadness into more subtle emotions like disgust or surprise. Those of you working in specialized government agencies employing imagery, you may want to use the Computer Vision feature to smartly process visual data. Through machine learning, you can identify content in an image and label it appropriately. Sizing, shaping, and style are available as well when presenting imagery on your website. For security purposes, you can also read small text from any angle in images. It’s thanks to Azure’s optical character recognition technology. Celebrity recognition is equally available when you need to identify who’s who in an image you present online. Your government office needs to keep its reputation intact, and some content you post might contain something offensive to your regular visitors. Cognitive Services gives you a content moderator in the Vision section. Using moderated automation, you’ll be able to evaluate imagery for offensive content without needing strict human intervention. The above works the same scanning text and video for anything you might deem off-limits. Regardless, Microsoft was smart enough to realize humans are still needed, so they give you a human review tool to override anything the automated program does. Keep reading us at cFocus Software Incorporated as we explore more features in Azure Government, including Cognitive Services.